Next in the spotlight we bring you the fancy dress fanatics who occasionally love to ski. Leeds Snowriders, take it away! An army of snow-lovers, risk takers and pursuers of fun. What are the club’s biggest achievements? Last year we were nominated and shortlisted for Outdoor Society of the Year by the Leeds University Union which is a pretty big deal. We’re always super proud of our ever-growing member base, and we are now one of the biggest societies on campus with just over 1,300 members and ski trips selling out in under an hour. Another huge achievement for Snowriders history was winning womens overall champions last year at BUDS. Thanks to Gillian and Jenny who smashed it in Edinburgh! Gillian and Jenny celebrate their win! Do you have any traditions? Since our 1963 beginnings we have sustained several traditions. A handful of our events are kept the same each year because they're so popular. Our first is the Fresher's social which welcomes hundreds of returning members and new students into the club through ridiculous games, free drinks and a LOT OF name badges. In the past couple of years we have also started raffling a top prize for a free place on our Christmas ski trip! Our weekend trip to Amsterdam in January has also become a steady tradition. It involves an 8-hour pass at the world’s largest indoor slope (Langraaf), a banging boat party and a full day to explore the city. Our Snowball is another one of our traditions. We arrange a big (kind of) classy ball shortly after the Easter hols. After a 3-course meal washed down with a bottle of wine everyone gets down on the dancefloor followed by an after party at one of Leeds finest venues. 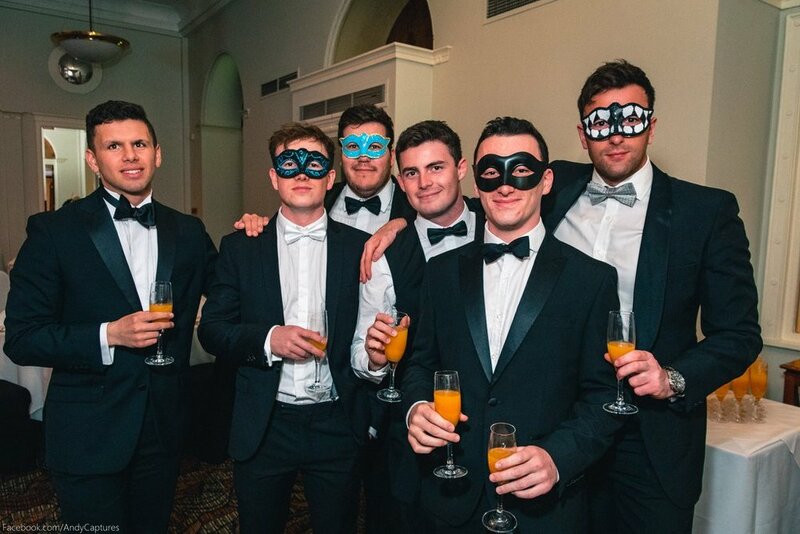 This year we did a masquerade theme which was a huge success. We also love fancy dress. Every ski trip has two themed nights where (almost) everybody gets involved. Previous years themes include: tight ‘n’ bright, OAP’s, wild west, famous dead people, under the sea, rubix cube, and make America great again to name a few. What was the highlight of last season? Our Easter trip to Val Thorens is always the main highlight in the Snowriders Calendar. We are often blessed with bluebird after bluebird day and our fleet of 1,000 strong Leeds students take over VT's slopes, bars and après scenes. Last year we brought over Leeds based PRIMAL SOUND DJs Ryan and Ross to play at La Folie Douce and Favela for some epic après memories. The locals loved the disco tunes as much as we did! 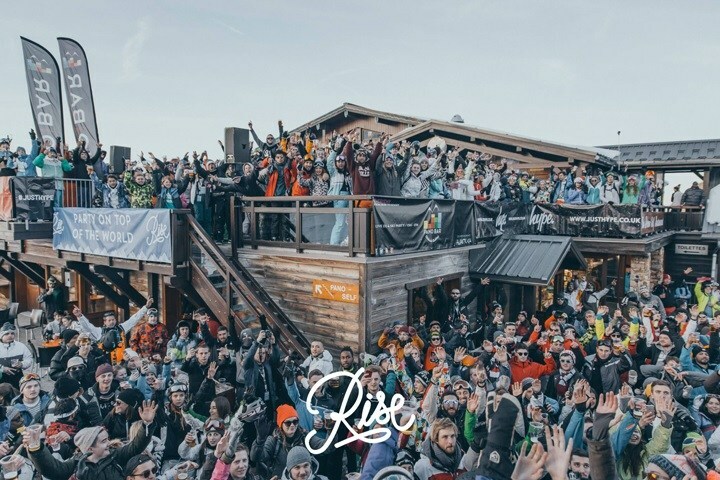 Our VT video edit below better explains just how insane this trip really is…..
We’re looking forward to meeting all the new faces we have joining the club BUT we are most excited for our Christmas trip to Rise Festival in Les Deux Alpes! It’s their 5th Birthday and as the biggest group booked for the festival, we are stoked to party on top of the world for 6 days. Already, the first phase of line up includes Annie Mac, David Rodigan, Richy Ahmed and Jasper James. Its going to be an unforgettable trip! Why should students become a Leeds Snowrider? Although this article may imply otherwise, Snowriders isn’t all about fancy dress and drinking. We are serious about snowsports and are here to help students have an amazing time at Leeds Uni. Despite our size we still manage to withhold a family feel and many students find life-long relationships through the club. Both past and present members will agree…. Once a Snowrider, always a Snowrider. Check out more in our spotlight series here.